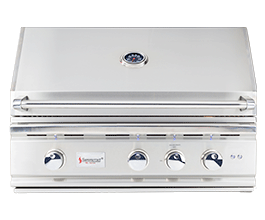 Summerset Professional Grills offers a complete line of commercial grade, stainless steel gas grills and freestanding grills. 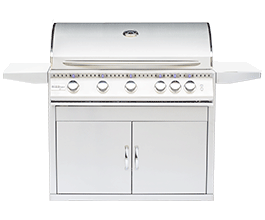 Our commitment to quality is reflected in the craftsmanship of our stainless steel BBQ grills and accessories and is backed by the full support of the Summerset warranty. EXCEPTIONAL BUILD QUALITY, AMAZING VALUE, AND PERSONAL SERVICE. The grill is one of the last great bastions of freedom, and choosing the right grill is an important decision. Fortunately, you cant make a bad choice when you choose Summerset Grills. With our complete line of stainless steel BBQ grills and accessories, we make it easy to find the perfect match to bring your backyard vision to life. We look forward to bringing you many years of outdoor cooking enjoyment. 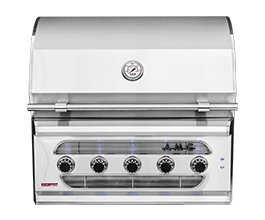 Summerset Professional Grills is a reliable company with over 20 years of leading the grill industry. As the outdoor kitchen trend continues to grow, Summerset has continually delivered solid, reliable products for every budget. We have refused to compromise our standards, standing firmly behind each one of our products.